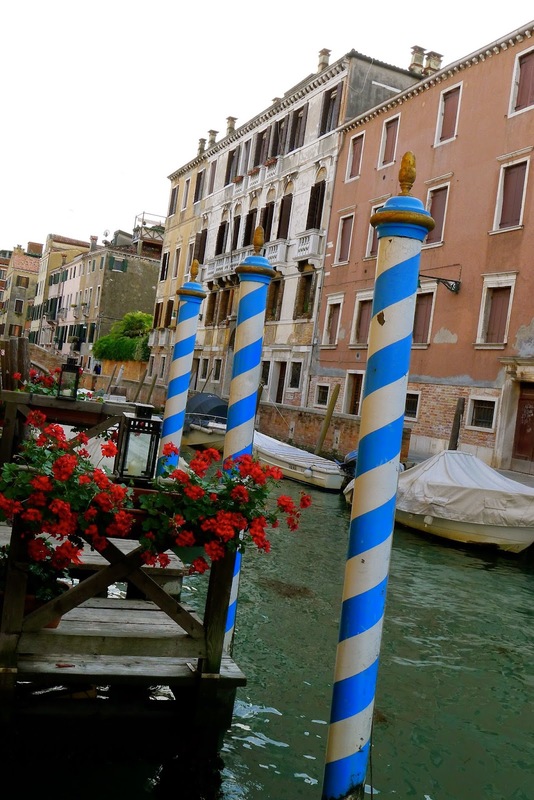 through your mind is the gondola and its trusty gondolier. looking much the same as they do today. 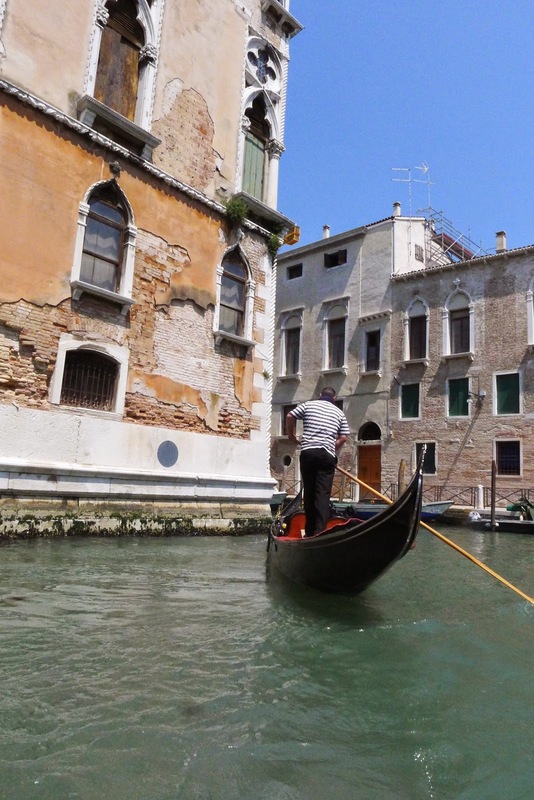 Today there are just 400.
one of the most sought after jobs in Venice. - for a fee of course! first woman was accepted into the guild. who then decides who shall continue on. are too deep for a pole. They travel at 3 miles an hour, same as a walking pace. one and half metres wide. They weigh half a tonne. They last about fifteen years. in the same manner by highly skilled tradesmen. (fir, oak, cherry, elm, walnut, mahogany, larch and lime). The wood is seasoned for a year. The oar is made of beech wood. the Ferro da Prora meaning iron. six teeth representing the six sestieri(districts)of Venice. 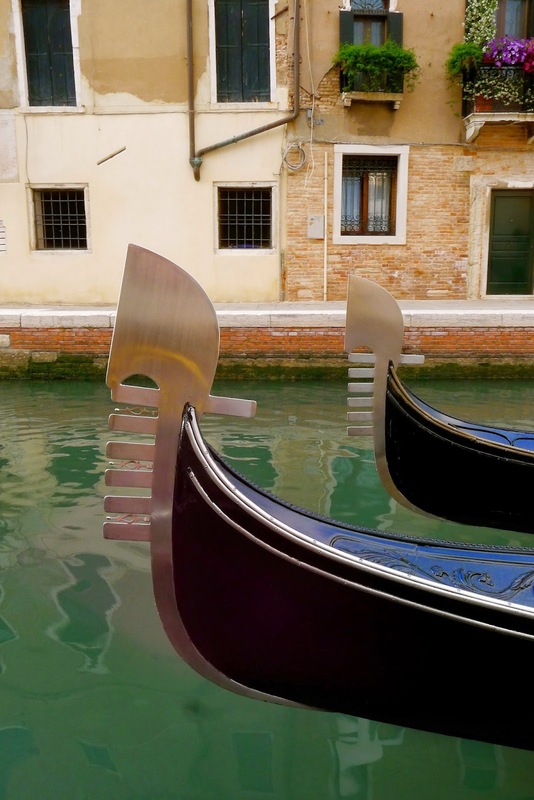 The Ferro is both decorative and acts as a counter weight. 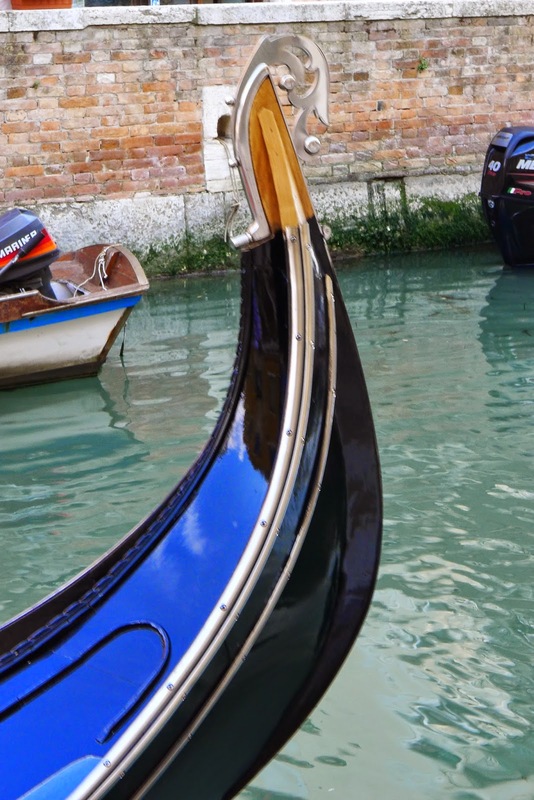 The gondolas have individual and unique styles of upholstery, detailing and trims, some more elaborate than others. One of the many gondola "stations"
is the baling out when flooded! 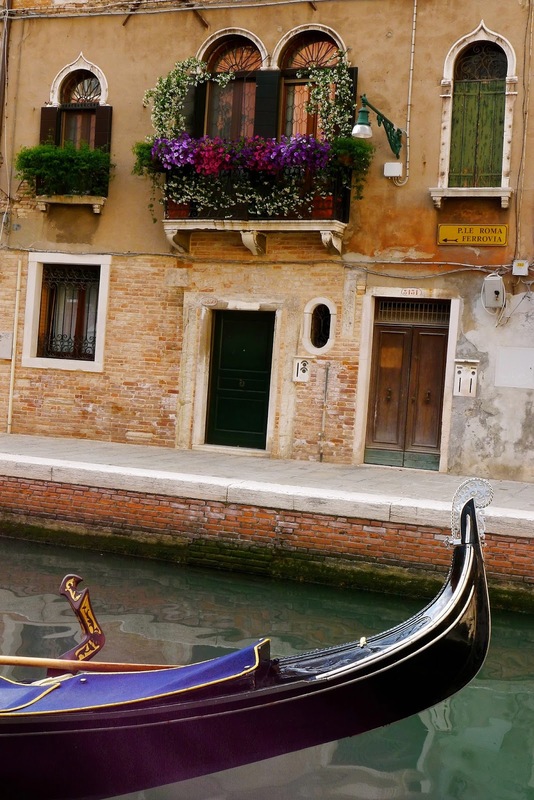 with Venice and its gorgeous gondolas!